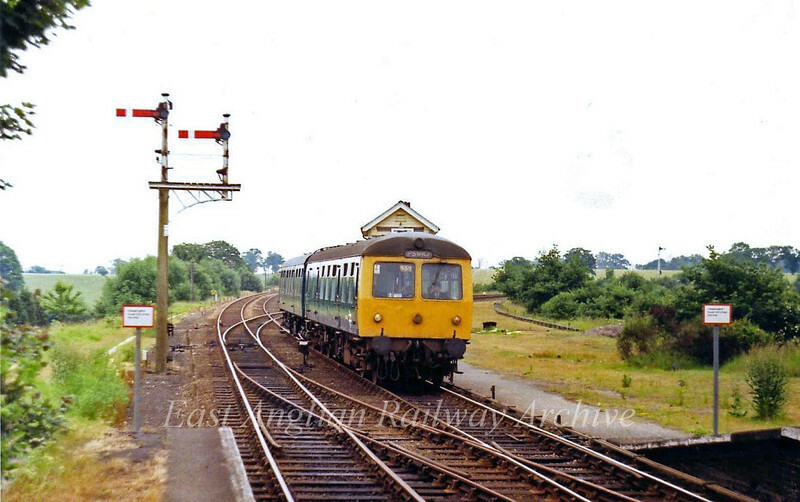 Westerfield Junction on 27th June 1979 with the 1455 from Lowestoft approaching the station. The Felixstowe branch diverges to the right behind the signal box. The signal box closed on 22nd March 1999 when the Felixstowe branch was resignalled and controlled from Colchester Power Box.